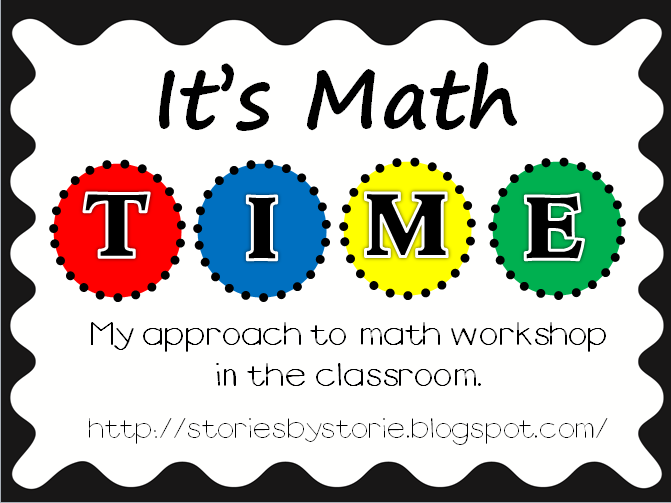 I have now attempted guided math and math workshop on four different occasions. I would say that is pretty good considering we started school on September 5th and my goal was to have things up and running by October. I’m still making some tweaks here and there, but I think the kids are showing tremendous promise! The first two days we attempted the math stations, I made sure that the teacher station was more of an independent work station so I could be free to monitor the students around the room. I have been very thankful for my blogging friends and freebie finds from the past few months because my kiddos are LOVING the math workshop format. Right now our math stations are pretty vanilla – there isn’t a lot of WOW to them yet since I want them to learn the correct behaviors and expectations for the stations. I have mixed ability groups for now. By doing this, I can teach the same lesson to all groups and really focus all of my attention on the neediest student(s) in the group. My plan is that once we move into the second unit and beyond I will be able to form some leveled groups for more focused small group instruction. The worksheet below is placed in a sheet protector. Students grab a pack of dominoes, a whiteboard marker, and an eraser. The student draws a domino, copies the picture, and writes the addition fact. Because it is in a sheet protector, I am saving copies and the students can continue to practice as time allows. I hope to get more pictures of our math stations taken in the upcoming weeks. One of those pictures will be my math rotations pocket chart. How is Guided Math & Math Workshop working out for you so far? Looking for a guided math/ workshop to model mine after. How much time do your students spend at each rotation and how many rotations per day?? Do you also instruct math whole group??? Grade?? Thanks for stopping by. I teach 2nd grade. I was meeting with groups for about 15-20 min., depending on skill level. I would meet with 2 groups a day, but not always every day. On some days I would only teach from the book and not meet with groups. On other days, I would shorten the lesson and really focus on my two lowest groups getting the re-teaching. Let me know if you have any other questions.